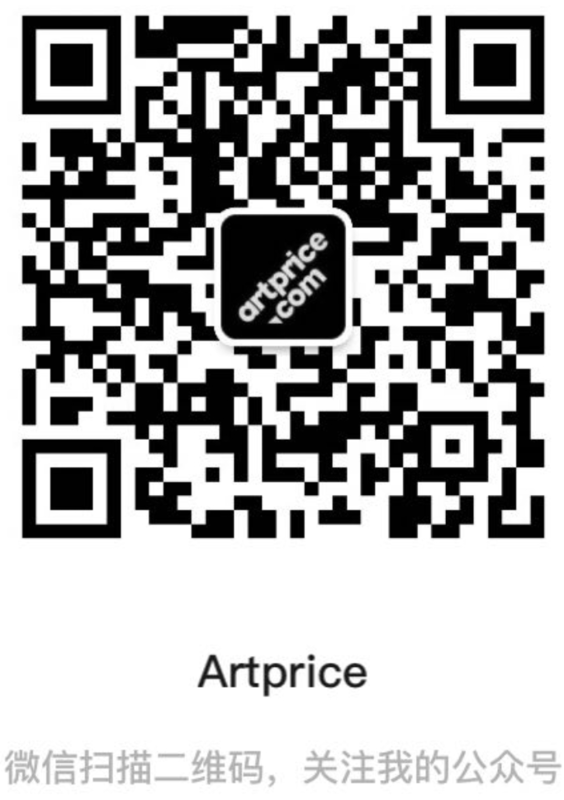 Every other Friday Artprice posts an auction ranking to help you apprehend the Art Market’s leading trends. This week, Artprice takes a look at the 10 most expensive abstract artworks on the auction market and overviews the general value accretion currently affecting the entire genre. Abstraction is now over a century old. The genre was born in the early 20th century and completely changed the history of painting. Since then, it has been constantly evolving. Even today, leading artists like Pierre Soulages, Christopher Wool, Tauba Auerbach and Cy Twombly are pursuing their their artistic journeys through a variety of abstract paths. While art historians consider a watercolor executed by Vassily Kandinsky in 1910 or 1913 (experts disagree, despite the date on the back of the work) to be the very first work of ‘abstract’ art, the Art Market has not made the Russian pioneer the world’s most expensive abstract artist. At $42.2 million (since June 2017 for Painting with White Lines, Sotheby’s, London) his auction record is only half that hammered for a work executed half a century later by the great American artist Marc Rothko. Initially ‘expressionist’ and subsequently ‘meditative’ with his ‘colorfields’, Rothko is undoubtedly the most successful ‘abstract’ artist on the market with half of this Top 10 to his name, including a record of nearly $87 million in May 2012 for his canvas entitled Orange, Red, Yellow (1961), formerly owned by David Pincus. Driven by a veritable American fascination with his work – and not a little speculation – Rothko dominates the market and is considered a leader of what was effectively America’s first major art movement, Abstract Expressionism. Abstract Expressionism is undoubtedly the safest repository of value on today’s American art market primarily because its major artists like Rothko, Pollock, Kline and de Kooning represent the key figures in America’s first major artistic movement, Abstract Expressionism, which blossomed in the 1950s. Whether considered abstracts or colorfields (the movement’s two major trends), the value of these works has steadily increased in recent years with a constant flow of new records: $61.7 million for Clyfford Still in 2011; $86.8 million for Marc Rothko in 2012; $58.3 million for Jackson Pollock in 2013; $12.7 million for Robert Motherwell on 17 May last at Phillips, and $66.3 million in 2016 followed by $69 million this week (Woman as Landscape sold by Christie’s as part of the Barney A. Ebsworth Collection) for Willem de Kooning. However, the infatuation and the inflation is not limited to the movement’s precursors; it has spread with apparent ease to the so-called ‘second generation’ of Abstract Expressionists. On 11 November 2015, Cy Twombly, cornerstone of Larry Gagosian’s gallery since the 1980s, scored a spectacular new record of $70.5 million when his Untitled (New York City) was offered at Sotheby’s. His previous auction record, just two years earlier, was $19.2 million (with Poems to the Sea, Sotheby’s New York). Recently, two female artists, Joan Mitchell and Helen Frankenthaler, have excelled in the auction market with new records both hammered on 17 May 2018 (Christie’s for Mitchell, Sotheby’s for Frankenthaler). The revaluation of these two artists is considerable. In Frankenthaler’s case, the new record rewarded Blue Reach which fetched $3 million at double its high estimate. In Joan Mitchell’s case, her Blueberry (1969) buried the estimate ($5-7 million) reaching $16.6 million. A few days before this new record, the powerful David Zwirner gallery had publicly announced its exclusive representation of the Joan Mitchell Foundation with a first solo exhibition in New York planned for 2019. But, the market’s reaction was immediate. Joan Mitchell’s price index has risen 24% since early 2018. Over the past 15 years, the value of her paintings has soared: $100 invested in 2003 is worth an average of $1,600 today. This year (her best year to date in terms of auction turnover) her works have already generated nearly $50 million. The new records for Willem de Kooning, Motherwell, Frankenthaler or Mitchell are not isolated results. 2018 has been an excellent year for other abstract artists, both Contemporary and Modern. The year’s top abstract result was hammered for Kasimir Malevich (second in this ranking), when his supremacist composition from 1916 fetched $85.8 million on 15 May 2018 at Christie’s New York. The value of this painting, acquired for $60 million in November 2008, has increased 43% over the last 10 years, representing an annual return on investment of +4.5%. The result was a new record for Malevich, and for the entire catalogue of Russian abstract art. Another impressive result concerns Richard Diebenkorn, one of the big names in American abstraction. Strongly influenced by synthetic cubism, then by Willem de Kooning’s abstract works, Richard Diebenkorn is particularly popular via his Ocean Park series comprising 150 paintings. The 126th canvas in the series – Ocean Park #126 (1984) – reached $24 million last May at Christie’s, almost doubling his previous record ($13.5 million for Ocean Park #48  at Christie’s in 2012). With an annual turnover already exceeding $54 million, Diebenkorn is one of the world’s top 30 best performing artists in our provisional ranking for 2018. At the beginning of this week, Zao Wou-Ki’s new record of $65.2 million – hammered last September at Sotheby’s Hong Kong – closed out this Top 10 dedicated to abstract art. However, New York latest results have changed that, with Willem de Kooning reaching nearly $69 million. Zao Wou-ki is still in an excellent position as regards our provisional global ranking for 2018. He is also, after de Kooning, the most successful ‘Expressionist’ painter in 2018, with an auction turnover total of $267 million so far this year.